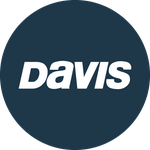 Davis Instruments Support, FAQs and Troubleshooting - My Vantage Connect installation is in a low light area. Can I add another solar panel? All Categories ​>​ FAQ ​>​ Vantage Connect ​>​ My Vantage Connect installation is in a low light area. Can I add another solar panel? Yes. You can add an Extra Solar Panel Kit (product #6616). This kit will add a second solar panel to your charging circuit and as a result charge your battery faster in low light environments.